Many people bring their lunch to work or to school so that they can enjoy safe, inexpensive, and tasty food even when they’re not at home. People are also becoming increasingly health conscious which could be a factor in motivating people to bring their own healthy lunch. A lunch box will not only help you save money but also keep you healthy and the environment much cleaner. 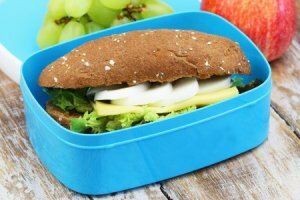 This article will discuss the various types of lunch boxes available for different needs, and help you select the right one for yourself. There are many factors to think about when choosing a lunch box as they come in various shapes, sizes, and layouts for different kinds of people. In order to select the right lunch box for yourself, you must consider what kind of meals you would like to pack and how much you eat. A sealed lid is especially important if you often carry food that could leak. Properly sealed lunch boxes such as airtight ones will ensure that the liquid doesn’t spill and spoil the contents of your bag. Stainless steel is usually unsuitable for this purpose so you might want to go for choose materials if you want a leakproof lunchbox. Airtight lunch boxes also keep the food fresh for longer by preventing the growth of bacteria. They manage to do this by preventing any contact with the air outside, thus allowing the food to stay in an almost vacuum like situation. 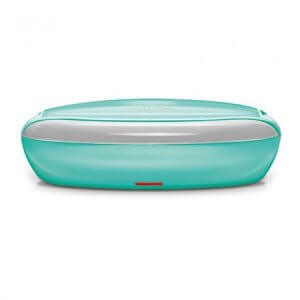 Lunch boxes come in a variety of shapes such as circular, rectangular and so on. They can differ in terms of their size too, and sometimes even have multiple containers stacked up. On the other hand, there are also single boxes with multiple compartments inside. 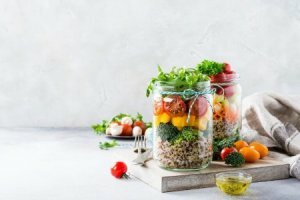 To make a choice between all these options, you need to consider your portion size, the kinds of food you eat, as well as the portability of the lunch box. It is usually better to buy a box that is slightly bigger than what you think you might need. If you prefer to have only one dish, or you don’t mind mixing dishes, then a simple lunch box will suffice. However, people who typically eat one main dish along with smaller side dishes would find lunch boxes with compartments of different sizes more useful. Stacked lunch boxes are great for those who like to carry similar portions of multiple foods. 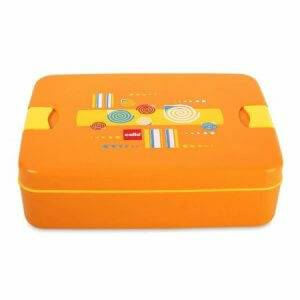 Different materials are used to make lunch boxes, each with their own advantages and problems. 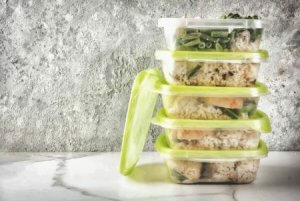 Plastic lunch boxes are inexpensive, lightweight, and many of them are microwave-safe. Moreover, plastic allows for versatility in design, so if you want something more fun with attractive designs then you should choose plastic. The downsides to this type are that they have lesser durability and are prone to oil stains. Stainless steel lunch boxes are strong, durable, easy to wash, and they are not very expensive either. However, their disadvantages include, not being microwaveable and being heavier than plastic or aluminium. 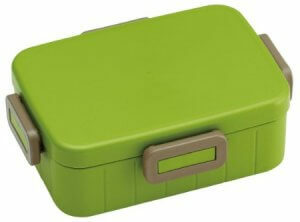 Aluminium lunch boxes are lightweight yet durable because they are corrosion-resistant and lighter than steel types. The smooth surface makes them easy to clean as well. However, these are not microwaveable either and are more expensive. Glass lunch containers look great and have simple designs. They usually last longer if the glass is tough, and they are also microwave-safe. However, they are normally heavier and more expensive than the other alternatives. Usually, lunch boxes available in the market are washable. However, if you use a dishwasher, you might want to know if the lunch box you want is compatible with dishwasher. A plain steel or aluminium lunch box is easy to wash compared to one with many compartments and made of other materials. If your workplace does not have a microwave, you might want to choose a lunch box that retains heat and keeps the food fresh. 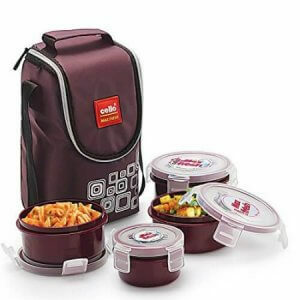 There is also the option of getting an electric lunch box which can heat your food on the go. However, if you can reheat food at your workplace or school, then you should buy microwave safe lunch boxes, which are often made of either plastic or glass. After all, cold food is quite unpleasant to eat. Now that you know everything there is to know about how you should go about choosing a lunch box, let us introduce you to the top 10 lunch boxes you can find online in India. 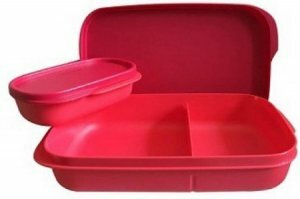 This simple but high-quality plastic lunch box comes with a large space for the main dish and a small inner container for a side dish. 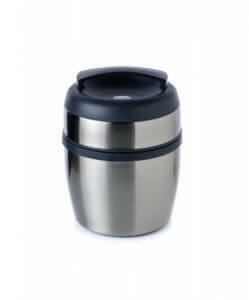 Even though it is light, it still has 720 ml of space for your food. 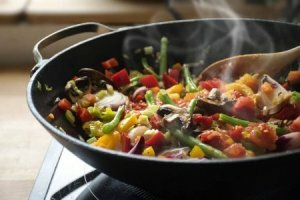 It is quite plain looking and will appeal to those who do not pack lots of different dishes. 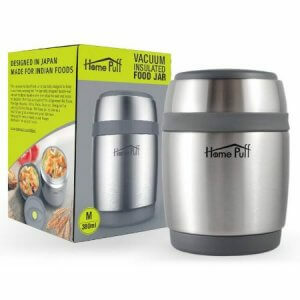 The inner container is supposed to be airtight and the box leak proof but it is not the most spill-proof product out there so if you tend to pack soups or curries quite often then this might not be the right choice for you. Another point you should keep in mind is that both the colours that this lunch box is available in are quite bright so if you are not a fan of that, then you should opt for one of the other options. For those who usually bring a single dish or a mixed dish, this lunch box is perfect because having only one 900 ml container makes it easier to clean. Additionally, it is also suitable for those who eat a heavy lunch but still want something that is lightweight and strong. The handle is a thoughtful addition that makes such a bulky box easier to hold and carry. It is not microwave-safe, and it is not very compact either, so if space is a constraint for you, then this may not be the right lunch box for you. It is also quite plain-looking, and not exactly suitable for carrying foods that are not supposed to mix. 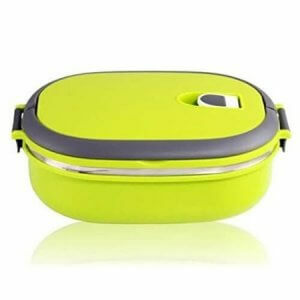 The inside of this lunch box is divided into three parts so you can carry a variety of dishes conveniently. It is easy to wash and looks cute too which makes it great for packing lunch for kids. Although, it should not be limited to just children as it is also suitable for those who tend to eat larger portions because it is quite big. However, the downside to this product is that it is not microwave-safe and it doesn’t retain heat very well either, so if you are particular about eating warm food then this might not be the best option for you. This product offers two layers of insulation to keep your food hot for at least five hours, therefore, even if you pack lunch in the morning, this lunch box will keep your food warm until noon. This is a great option for those who often go out with their babies as this item is used by many people to carry baby food. However, it is unsuitable for packing rotis or sandwiches, and you might not find the price attractive enough for a product that limits the variety of foods you can carry. Additionally, it is much smaller on the inside than it seems on the outside so it may not be the best choice for those who like to carry a larger proportion of food. There are many lunch box sets available in the market but what makes this one stand out is that it comes with a tumbler, which would be perfect to carry homemade lemon water or lassi during the hot summer months. This lunchbox is special because it is an electric one, so you can easily heat your food and enjoy warm food anytime anywhere. This is particularly great for people who do not have heating facilities at their offices. Even though it is an electric one, it is compact and lightweight, which makes it great in terms of portability. However, it does not turn off automatically once the food has been heated, which can result in overheating and can be potentially dangerous. This lunchbox has more than just one use, it can be used to carry food when you go out, as well as to store the food in the refrigerator. It is also a recommended product because it is made of glass so it’s really strong and durable; even with 1 year of constant use you will see not see any cracks or stains. However, it is 1.24 kg, so it may seem too heavy, and since it has no colours or designs, it may look too plain to those who prefer brighter options. Another downside would be the lack of handles on the containers as glass items tend to be slippery. 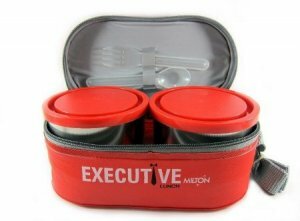 This is a compact and portable lunch box with three containers, and what makes it great is that there is a set of spoon and fork attached with it so you have one less thing to worry about. The plastic container is microwave safe so you can easily warm your food during lunchtime. Although, it does keep your food warm for 3-4 hours easily anyway so you might not even need to microwave it! It has amazing reviews and is very easy to use, plus the price is an absolute steal, which is why this has made it to our top 3 picks! 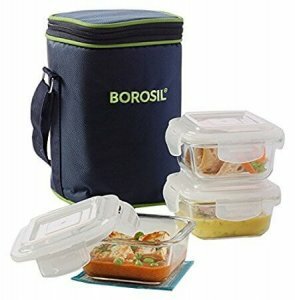 A highly recommended lunchbox with 4 super airtight containers that won’t let anything spill even if you hold them upside down, this is absolutely perfect for those who like to carry a variety of dishes. 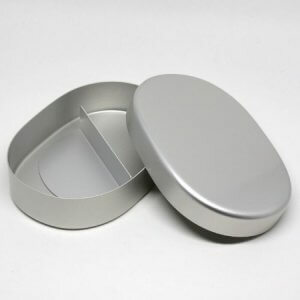 Despite being airtight, the lids are not difficult to open and close, which makes it even more convenient. The carry bag looks strong, durable, and spacious enough to easily put the containers in or take them out. This lunch box is very affordable considering all the features, and we would recommend this to anyone who likes to pack a number of different kinds of dishes! 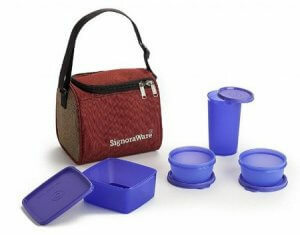 This silicone lunch box provides can hold up to 1200ml of food, and once you are done you can make it smaller to make it more convenient to carry. One of the biggest benefits of silicone products is that they are easy to clean, and are quite durable too. The inside is divided into 3 parts so you can carry a well-balanced meal with one main dish and two side dishes. Although this product is perfect for those who have a large appetite but do not wish to carry a huge, bulky lunch box, it is very versatile and we would say that it would be great to have at least one of these in your house. Now that you have finished reading this article, we hope that it could help you choose the right lunch box for yourself. It can take a while to choose a proper one based on your needs and taking into account all the points we mentioned earlier, but hopefully, the recommendations section could help you out with that. Whatever your specific situation may demand, we hope that we were able to offer you a choice that suits you perfectly and meets all your expectations.